FrackFinders Wanted! 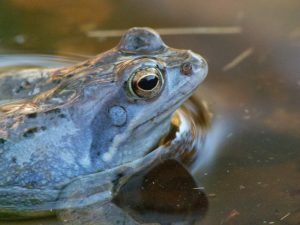 Help us Skytruth Fracking Ponds in PA! Do you care about the public and environmental health issues associated with fracking, have a computer, and are at least a little familiar with Google Maps? Then you can help map fracking ponds all across Pennsylvania’s Marcellus Shale! UPDATE: Project Moor Frog was completed in January 2014, check our frack.skytruth.org/frackfinder to see the latest FrackFinder project. We will not have results to share with the public until Project Dart Frog is finished, so help us complete this next phase! 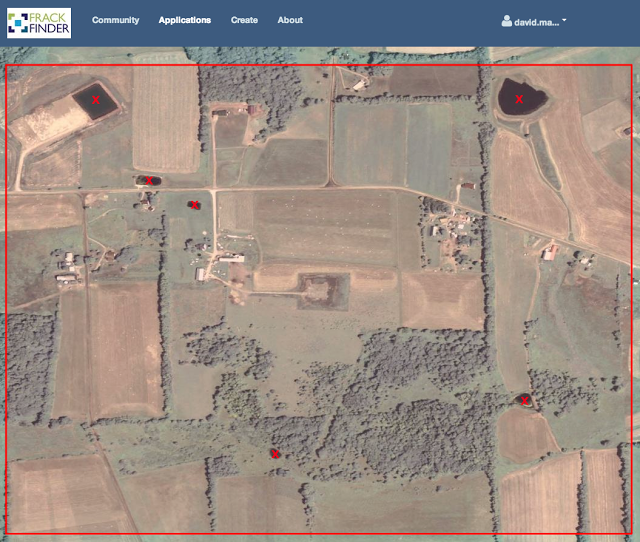 This week we are launching a crowdmapping tool called FrackFinder PA: Project Moor Frog. In this version of FrackFinder we took all of the active drilling sites that volunteers found in Project Tadpole and created an easy-to-use website for volunteers to take a closer look at these sites. Now we’re asking volunteers to mark all the ponds big enough to be associated with drilling and fracking. There’s nothing to download, no special GIS experience, and we’ll show you everything you need to know in a brief tutorial. All you need is a good internet connection, a computer with an internet browser, and some time to help us find ponds. We really need your help with this project because there is currently no map of these ponds that can contain millions of gallons of wastewater from drilling and hydraulic fracturing. Additionally, the Johns Hopkins Bloomberg School of Public Health has requested this map to support their study of public health issues related to air quality degradation from this industrial activity. Volatile organic compounds (VOCs) and other chemicals evaporating from these ponds could be a factor in air pollution, a hypothesis supported by a number of federal reports from western Pennsylvania earlier this year. 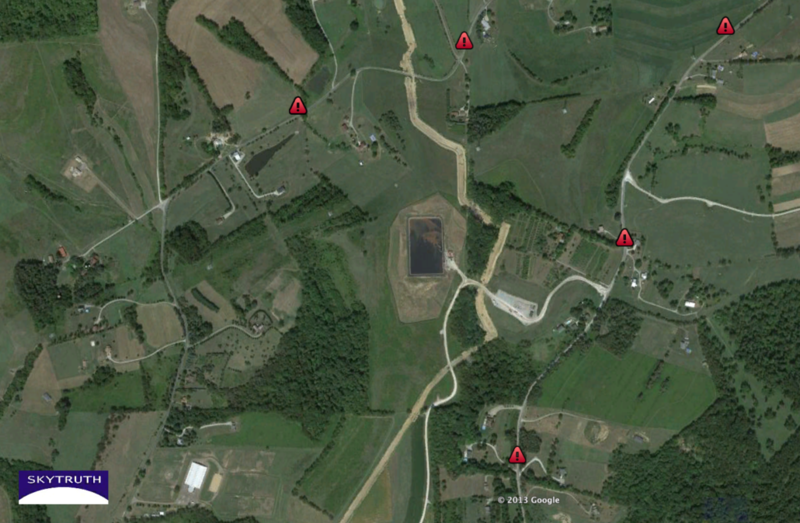 In July 2013 a fracking waste pond referred to as the “Carter Impoundment” (above) was reported by five different neighbors for noxious chemical odors. This kind of air quality degradation could have serious health impacts but we won’t know for sure without good data. For several weeks in July, SkyTruth Alerts picked up federal pollution reports of “strong odors” and an “acid petroleum smell” coming from a fracking pond near McDonald, PA. The U.S. Coast Guard’s National Response Center (NRC) received a total of ten reports from five separate addresses over the course of several weeks. One report even indicated VOC levels 56 times higher than acceptable industrial levels at a private residence over 1,000 yards from the pond. About FrackFinder: Our vision is for a world where people can see the environmental impact on the planet AND take action to protect it. To do that, we’re working to build a skytruthing movement of citizens using aerial and satellite imagery to monitor environmental change and produce real data that will inform science and decisionmakers. Just like Silicon Valley picks zany categories to name different phases of their products, we’re naming FrackFinder projects after quirky critters. So far our project names are all frog-related because who loves a (well)pad more than a frog? /wp-content/uploads/2016/08/test_logo.png 0 0 David Manthos /wp-content/uploads/2016/08/test_logo.png David Manthos2013-11-22 16:30:002019-02-14 11:16:40FrackFinders Wanted! Help us Skytruth Fracking Ponds in PA! Hydraulic fracturing, better known as fracking, and other drilling practices have unlocked previously inaccessible reserves of oil and gas across the United States and the world. However, some of the debate over fracking is distorting public understanding of these practices and interfering with good decision-making about this recent boom in unconventional oil and gas production. America has drilled and fracked more than 1 million wells over the past 60 years, and in all that time there has never been a proven case of groundwater contamination caused by fracking. This statement, in some form or another, is repeated from the kitchen tables of ordinary citizens to the halls of Congress, as landmen use it to try to secure mineral rights from private landowners and legislators advocate for more drilling on millions of acres of public land. Even environmentalists, scientists, and regulators, when pressed, reluctantly confirm this statement is technically correct. Upon closer examination, however, this claim is a half-truth that muddles the debate on whether natural gas can be a bridge fuel to a cleaner energy future, or a dead-end. First, has fracking really been around for over 60 years? That depends on what you mean by fracking. In 1947, Stanolind Oil (now Halliburton) completed their first conventional hydraulic fracturing operation using 1,000 gallons of water, chemicals, and sand to frack a shallow Kansas well. Instead of dropping explosives down the welllike the early Pennsylvania oilmen, drillers used a spare WWII aircraft engine as a pump to pressurize the fracking fluid and apply hydraulic force to the methane-bearing limestone. According to a patentfilled in 1953, the first fracks used pressures as low as 700 pounds per square inch (psi). This accounts for much of fracking’s history, with small operations that were barely noticeable once they were completed. Unlike their humble origins, modern fracking operations use millions of gallons of fluids pumped into bedrock at pressures as high as 15,000 psi to break open shale and tight sandstone formations. This is over 20x the pressure and 800x the volume of the first fracking operations. 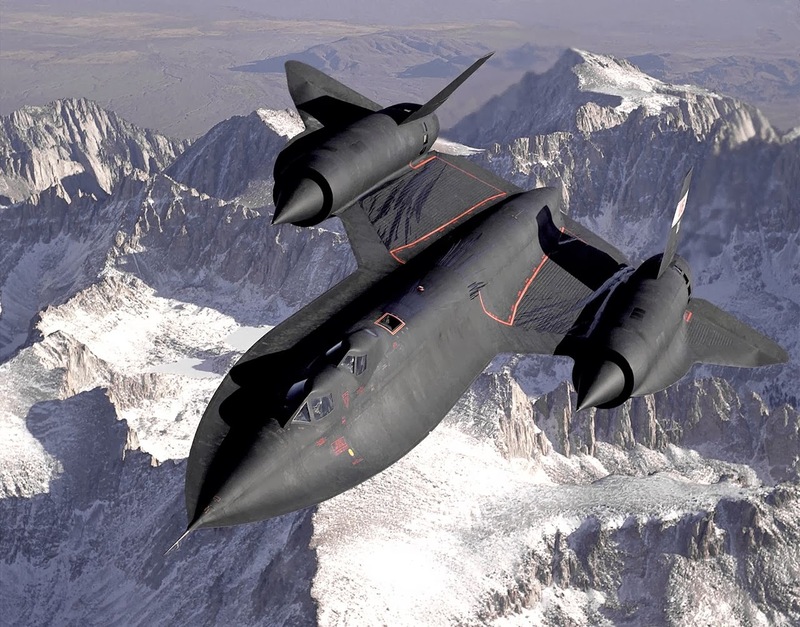 Modern fracking has as much in common with early fracking as an SR-71 Blackbird spy plane has in common with the Wright Flyer. Yet advocates of modern fracking cite those decades of old-fashioned fracking as proof that modern fracking is also safe. Unconventional drilling and modern fracking was one of SkyTruth’s first projects, because satellite images and aerial photography revealed a spider’s web of roads, wellpads, pipelines, and other infrastructure transforming massive tracts of western public lands. But as the practice spread from relatively uninhabited wilderness to the more populated eastern US, media coverage of modern fracking and fracking-related accidents began to increase. Journalists and academics began to investigate claims that modern fracking had caused health problems and water contamination. Then a documentary filmmaker from Pennsylvania ignited one of the biggest environmental movements in several generations: by lighting water on fire – again. The truth about proven cases of contamination remains elusive for a number of reasons. For one, the Environmental Protection Agency has repeatedly backed away from completing research on claims of polluted groundwater in Pennsylvania and Texas, and stopped short of finalizing a report that blamed modern fracking for groundwater contamination in Pavillion, Wyoming. Also limiting our knowledge about contamination cases is the growing number of contamination claims settled out of court with strict non-disclosure agreements. One settlement with a Pennsylvania family went so far as to prevent a family, including their children aged 7 and 10, from ever publicly speaking about the issue of fracking. What we do know is that a growing list of individualsare coming forward with reports of illness and contaminated drinking water in the immediate vicinity of wells that that have been fracked. Is drilling and modern fracking the cause? In many cases we just don’t know because pre-drilling water quality and public health studies don’t exist, and the information is simply not available to the public. 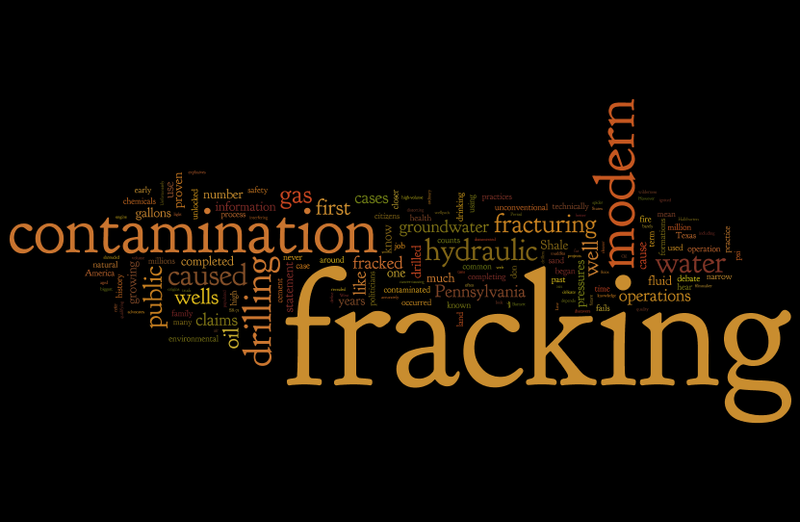 On these three words hinges a delicate and disingenuous argument about the safety of modern fracking. Watch congressional hearings on this subject and you will hear this qualifying statement tacked on to nearly every remark about the safety of drilling and modern fracking – but what does it mean? If the cement job on a well fails when it is subjected to the high pressures of modern fracking, like in Dimock, Pa., Colorado, and Ohio, the cause is bad cementing, not fracking. If a pond containing fracking fluid fails and dumps contaminated water into a stream, or a truck carrying fracking chemicals loses control on a narrow West Virginia road and overturns into a creek, fracking itself is not the “cause” of the contamination. 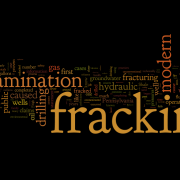 Meanwhile, the public generally uses the term “fracking” as shorthand to cover all of the activities related to drilling and completing a well. Since > 90% of the drilling being done today would not be happening if it weren’t for hydraulic fracturing, this is understandable. Unfortunately there are many documented incidents where contamination of the air, land, and water can and has occurred because of oil and gas drilling. And the homeowner who can light their tapwater on fire, or discovers they’ve been drinking cancer-causing benzene, probably doesn’t give a damn if the contamination was caused by a poor cement job that blew out, or by the hydraulic fracturing operation itself. That’s a word game only politicians and engineers care about. The Bottom Line: The track record of modern fracking is shrouded in incomplete information, a misleading history, and distorted by semantic arguments that narrowly define what counts as contamination from fracking. While cases of contamination caused by fracking remain obscured by lack of information and tricky linguistics, we know that a growing number of citizens are reporting harm and environmental contamination in unconventional oil and gas fields, and especially from wells that have been fracked.